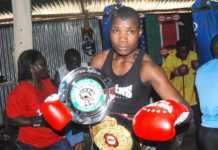 Conjestina Achieng during her active days in professional boxing. 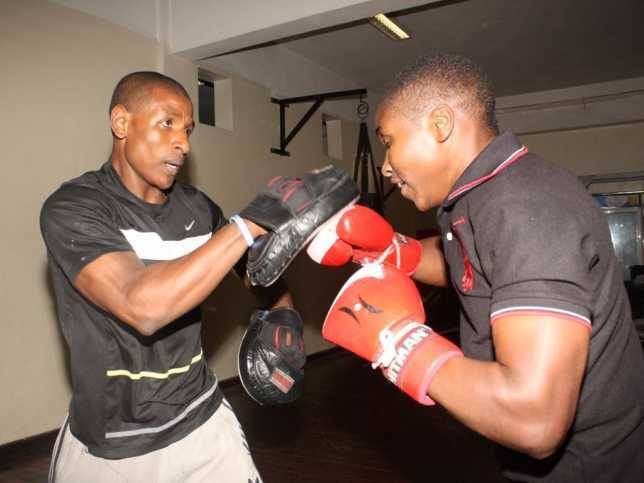 Fatuma Zarika’s journey into boxing is one that has been plagued with a lot of obstacles. In the beginning while staying in South B, she first attempted to venture into the world of sports and it started with football. Things did not work out her as she failed to display any sort of prowess in the sport. She then decided to try something else. 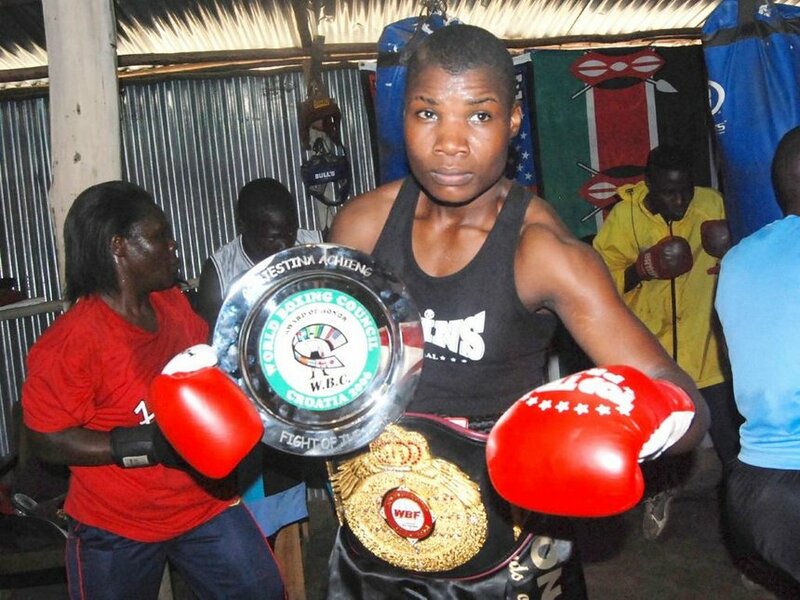 Zarika went to Mathare North in Eastlands where she met Conjestina Achieng’, the boxer who became the first African woman to hold an international title after defeating Ugandan Fiona Tugume to take the vacant WIBF Middleweight crown. Conjestina mentored Zarika and convinced her to try out boxing. Seeing as she was torn between what to do next, she agreed to start training with her in the hope that this time her efforts would bear fruit and she could finally be able to live a comfortable life that had been so elusive thus far. It was then that Fatuma Zarika’s life in boxing began. This decision was followed by an immediate need to take part in intense trainings. They included early morning runs and gym sessions followed by training. She was a natural from the start once the gloves fit her fists. Beginning her amateur boxing career, she had the promise of being able to join the police force from her trainer. This meant that Zarika would at least have a source of income and her family would be taken care of. Great news for a single mother! 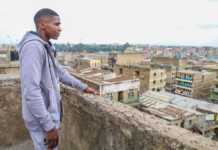 She trained under the coach in Mathare North and sometimes even at the police headquarters, hoping that she would soon be able to join the force as promised. Unfortunately, the trainer had no intention to fulfil the promise he had made to Zarika. After plenty of hard-work, determination and that ever so evident never say die attitude, Zarika was finally ready for her maiden amateur boxing match and she was up for the challenge as she won by a fine margin. All her commendable efforts were rewarded with a meagre fifty shillings in an envelope. It was the first money she had made from boxing and was not an amount that encouraged her to enter the ring for another attempt. Just as she had shown throughout her entire life, Zarika demonstrated a level of determination that was second to none. She continued to train hard and the reality of having to be able to provide for her children acted as a constant motivation. Lack of funds would force her to walk from Mathare North to Gikomba, a distance of approximately 14km every day to and from the gym to better her skill and improve on the little boxing knowledge she had already picked up. Right before she called it quits in her amateur career, she squared up in the ring against her mentor and the person responsible for helping turn her into a boxer, Conjestina Achieng’. The fight ended in a draw and it was evident that Zarika had finally found something she could be great at. This could be her family’s way out. 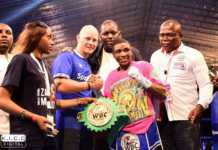 Zarika then participated in three more amateur boxing fights before Conjestina advised her to turn pro. 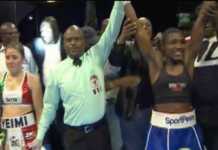 It was then that she took a huge step and made the decision to become a professional Kenyan female boxer. Her first pro fight was against Damaris Muthoni, who was the former Kenyan champion at the time, a fight that she lost after four rounds. Zarika chose to pick the positives from the fight. She wanted to be better. Her efforts from her first fight earned her sh.700/=. An indication that things could get better. Zarika then looked for a house in a shanty neighboring South B and she called her mum and daughters to come and stay there with her. The move was a huge improvement from the house they had to share in Satellite, things were starting to look up for the upcoming pro boxer. Two months later, another fight with a promise of sh.4,000/= if she won the duel. Her tireless efforts and sheer determination paid off and she bagged it. The euphoric radiance that came after the victory was short-lived as the fight promoters failed to pay the money owed to her. The words of Roy Bennett, “Your hardest times often lead to the greatest moments of your life. Keep going. Tough situations build strong people in the end,” truly explained how Zarika chose to move on after the disheartening experience. She picked herself up and continued to train in the hope of a brighter future her boxing career. 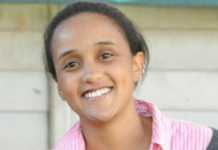 By this time, she had started training under a new manager in the Pumwani area of Nairobi. Keeping in mind that she still had not secured a steady income, she still had to walk. This time it was a distance of approximately 9km daily from her South B home.